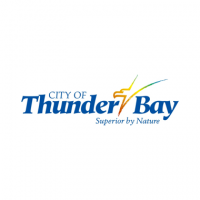 Incorporated in December 2006, CEDC is an arms-length Community Development Corporation, led by an independent board with core funding from the City of Thunder Bay. The mandate of the CEDC is to operate in a way that is: Project based, Business led, Partner driven, Community supported. CEDC receives formal proposals on projects that will contribute to economic development. It responds quickly to new opportunities and initiatives to attract direct financial involvement from government and private sectors. CEDC's staff will assist your business with attaining essential information for decision making.